Ideal Standard, one of the leading providers of innovative bathroom solutions operating across Europe, Middle East and Africa, has carved a niche with its unique range of innovative products designed for all kinds of projects in the Middle East region, thus reinforcing its reputation as project specialist. It has on offer bespoke bathroom solutions to suit the needs of various kinds of projects – be it residential, commercial or public facilities, said a company statement. All of these facilities vary in purpose, design and size, but the company can accommodate all requirements through its wide array of products and world-class brands such as the flagship Ideal Standard, Armitage Shanks, Jado, American Standard, among others, it stated. 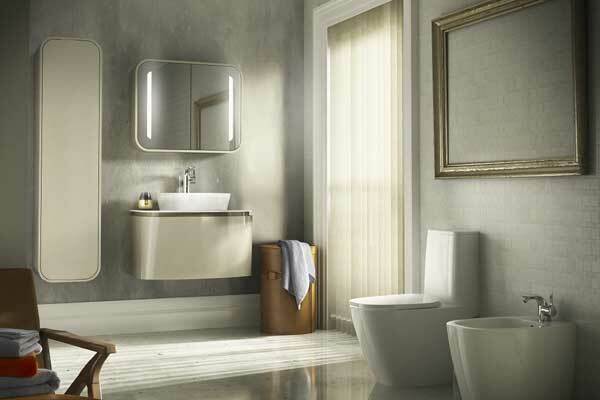 "Ideal Standard has made a mark over the last 100 years by providing innovative bathroom solutions across the globe," remarked Kostas Kandarakis, senior product manager at Ideal Standard. "The growth of the company is evidence of its world-class quality standards, its excellent design aesthetics and its variety of products and sizes in different bathroom product categories, which make Ideal Standard the “one stop shop” for all types of buildings in Middle East and all over the world," he said. Ideal Standard, he stated, is associated with some of the most prestigious projects in the Gulf, such as Burj Al Arab and Burj Khalifa in Dubai, Financial Centre and Emirates Palace Hotel in Abu Dhabi, Alargan Housing, King Fahad Hospital Project and King Abdulaziz University Hospital in KSA, Barwa City, The Ritz-Carlton in Qatar and Chabd-Jaber Stadium in Kuwait. The company is committed to reinforce its market presence with its adherence to product quality, innovation, design and sustainability leading to functional bathroom options, which meet every demand where aesthetics are as important as performance – for any type of project across residential or commercial space, said Kandarakis. Thanks to its strong brand portfolio, Ideal Standard said it has designed comprehensive mix of bathroom solutions in a number of residential projects. A large number of collections are at the disposal of individual customers, bringing together unique design and functional excellence, creating a beautiful use of space and allowing the end users to create their personal haven after their taste and unique sense of style, it added. "Ranges like DEA, with its warm, curved, flowing surfaces - a perfect combination of chic, high-end design and functionality -, Tonic II with its clean cut lines and soft edges that provides elegance and impeccable ergonomics, and Strada - offering the best of contemporary geometry, exceptional functionality, and ease of use, are only some of the successful collections. Ideal Standard has something for everyone," said Kandarakis. Similarly, Ideal Standard has offered its products for commercial projects as well as public facilities such as hospitals, offices, hotels, schools, stadia and public bathrooms.